Located in Happy Valley, OR, Grandview Meadows will consist of 69 single family residential lots ranging in size from 4,000 to 5,000 sq. 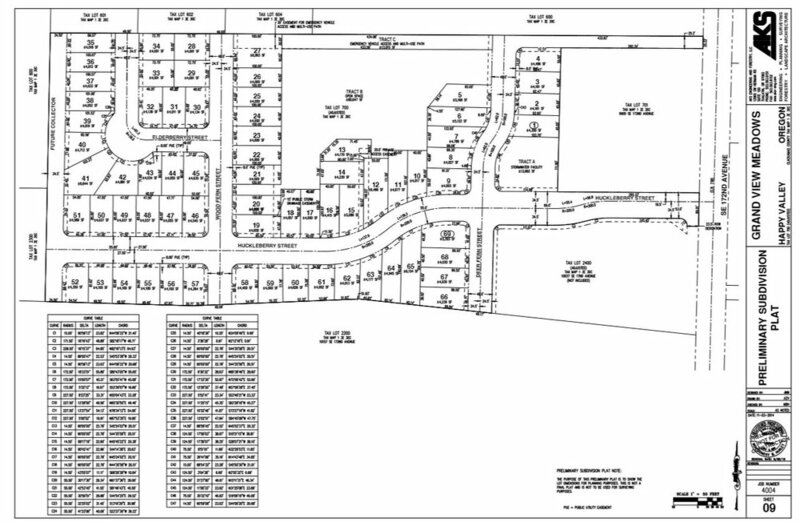 ft. Pineview Meadows will consist of 42 single family residential lots ranging in size from 4,000 to 5,000 sq. ft. Grandview and Pineview Meadows are located within walking distance to the newly built Scouter's Mountain Elementary and are in close proximity to Sunnyside Road, which is a primary commercial area in Clackamas County. Happy Valley enjoys low crime rates, beautiful scenery, and schools that feed into nearby Clackamas High School. Enjoy multiple parks and trails within walking distance of Grandview and Pineview Meadows, as well as Downtown Portland only 17 miles away.